AARP Medicare drug plans are insured through United Healthcare. In addition to offering the popular AARP MedicareRx Walgreens Part D Plan, United Healthcare also offers AARP MedicareRx Preferred (PDP) and AARP MedicareRx Saver Plus (PDP). Insurance companies offering Medicare Part D Plans have had success partnering with retail drug store to help build brand recognition and attract more members. 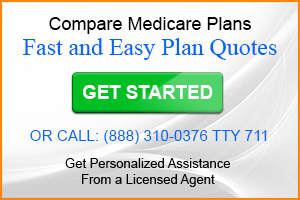 AARP MedicareComplete and AARP branded Medicare supplement plans are also insured through United Healthcare. When you visit the AARP Medicare Plans website you’ll ultimately want to end up at the page for Medicare Prescription Drug Plans. You’ll be able to learn if you need a prescription drug plan, how to enroll and learn what else related to getting a Part D Plan you may need to know. There is also a link to find a preferred pharmacy which is most likely your nearest Walgreens pharmacy. You can also learn about saving even more money by using OptumRx for home delivery. If you already have an AARP Medicare Plan you can login or register to get personalized information. Once logged-in you can view plan materials and review the AARP MedicareRx Walgreens Part D Formulary. Reviewing your Part D formulary is essential to getting a plan that will work best for you. Of the three AARP Medicare drug plans offered through United Healthcare the WalgreensRX plan is the most basic in coverage. 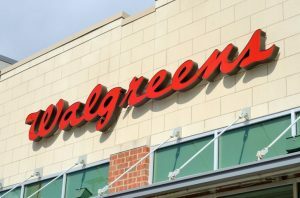 The Walgreens plan includes “most generics” while the other two plans include “most generics and many commonly used name brand drugs covered by Medicare Part D”. If you require name brand drug AARP MedicareRx WalgreensRx Part D may not be your best choice. You will be paying out-of-pocket for these medications. If on the other hand you require no medications or only need generic this plan may be a good option for you. Compare AARP Part D plans to other available Part D plans by visiting eHealthInsurance, a leading provider of plan choices. 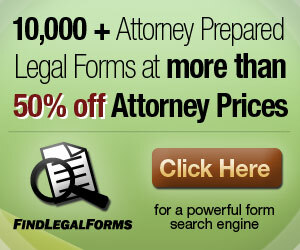 Just enter your zip code to see all available plans. For more personalized service you can call 888 310-0376 toll-free Monday through Saturday during normal business hours. If you enroll in the AARP WalgreensRx Plan be sure to register to use their website. This will allow you to keep up to date on any changes to their formulary. We called AARP MedicareRX PDP PLAN @ 1-800-753-8004 on 11-27-18 at 7:45 pm MST. We asked whether a drug I take is on the 2019 Formulary’s list. We spoke with Aruna, who had a horrible accent, and who told us the drug was NOT on the list. We explained that we’ve had this same Part D plan for the last 2 yrs & that the drug has always been on their formulary. She did not respond to this, but instead kept trying to tell us our doctor was going to have to request a special OK from AARP to get them to cover the drug. We were going to just choose another company’s plan that covered the drug; but we thought, as a last measure, we would check online to see if the 2019 Formulary was actually available yet. The drug IS COVERED. We feel that having customer service reps giving the WRONG INFORMATION to seniors, trying their best to save money & to get the Part D coverage they need is a SERIOUS PROBLEM for ALL OF US!!! If we ever have this happen again, we will NOT be doing business with this company any longer. This is awful customer service.